Millions of people in the United States rely on motor vehicles each day to provide transportation to school, work, and other locations. While each of these drivers expects car companies to design and build vehicles safely, this is not always the case. Each year there are numerous vehicles that fail to operate properly due to design and manufacturing defects as well as failure to warn about the dangers associated with motor vehicles. If you are a motor vehicle operator or passenger who is injured due to a vehicle’s inability to operate safely or car defects, you should not hesitate to contact a seasoned attorney who will remain committed to fighting for the compensation that you deserve. 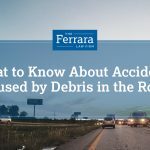 At Ferrara Law, we have helped many victims of defective vehicle accidents hold auto companies responsible for mistakes. We also understand the complex laws and issues underlying defective vehicle cases. One of the best first steps that motor vehicle operators can take to avoid the risk of being involved in accidents is to understand these common types of defective parts. Airbags: One of the most significant safety inventions in recent history, airbags have saved the lives of numerous motor vehicle drivers and passengers. Sometimes, however, defective airbags are placed in vehicles. For example, the Takata airbag recall involved airbags that deployed too strongly, which had the potential to seriously injure the face and neck of vehicle occupants. Child seats: Placing a child in a car seat greatly increases a child’s safety while traveling in a vehicle. Unfortunately, there are numerous defects that can arise with car seats including harness defects, improper reclining angles, and shells that break easily. Exploding gas tanks: Sometimes, gas tanks ignite suddenly, which can result in serious injuries and even fatalities. Many defective gas tanks are dangerous due to how the tank is positioned inside vehicles, which can lead to unexpected events that jeopardize the lives of motor vehicle operators. Seatbelts: The use of shoulder belts as a safety feature in motor vehicles has significantly increased the safety of motor vehicle occupants. To save lives, however, seatbelts must work effectively. Unfortunately, some of the most common types of seatbelt defects include failure to lock on impact and unlatching due to a collision, which can endanger the lives of passengers and drivers. Software: As technology improves, unfortunately, the risks associated with defective software also increases. For example, lawsuits involving GM’s OnStar system have shown that this software is capable of manipulated by hackers. Tire defects: Defective tires can cause a number of deadly accidents due to cracking, inner liner defects, loss of inflation pressure, and tread separation. Each of these vehicles defects, as well as many others, have the potential to cause serious physical injury as well as emotional trauma and large medical bills. Lawsuits due to defective vehicles can help a person obtain compensation for medical bills, lost wages, and various other costs. 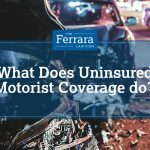 So, if you or a loved one has been harmed by a defective motor vehicle, do not hesitate to contact Ferrara Law today for assistance. Who is Responsible in Product Liability Lawsuits?